Pennywort is well known for its healing properties. Other traditional medicine practitioners like Ayurvedic and Chinese medicine doctors use pennywort to treat various ailments. As a foodie, when I think of pennywort, a nice cold green juice comes to mind first. 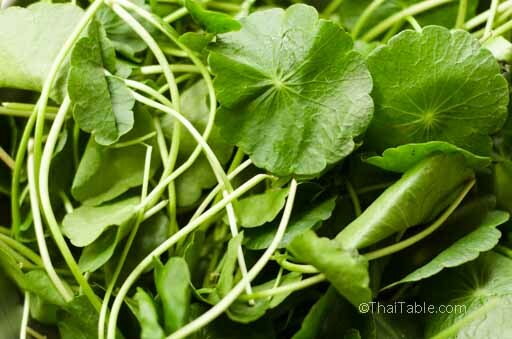 But we also eat the leaves raw in dishes like Lohn Pboo Kem and Kanom Jeen Nam Ya. Refreshing pennywort drink served cold with ice.